Emma Williams, Eva Noblezada, Daniel Boys and Anton Zetterholm star. RSO In London, March 23rd at The St. James Theatre Studio, marks RSO’s premier on the London stage. Headlining the cast are two time Oliver-nominee Emma Williams, current Kim in Miss Saigon on the West End, Eva Noblezada, BBC’s Any Dream Will Do Daniel Boys and Anton Zetterholm of European productions of Tarzan, Wicked, and Les Miz. Read the full Playbill press release HERE. Sam French’s Writers Room interviewed RSO and collaborator and husband Matthew Murphy on the creation of their show, 35MM: A Musical Exhibition. Check out the full interview HERE. A picture is worth 1,000 words — what about a song? Can a picture inspire a song or fifteen? In 35mm, each photo creates an unique song, moments frozen in time; a glimmer of a life unfolding, a glimpse of something happening. A stunning new multimedia musical which explores a groundbreaking new concept in musical theatre… This intricately woven collection of stories told through song re-imagines what the modern American musical can be. Huffington Post’s Curtis Wong interviews RSO on his inspirations, shows, and plans for the future -calling him “musical theater’s answer to an auteur filmmaker or a gothic novelist.” Jay Armstong Johnson is quoted describing RSO’s work as “deep, rich, innovative and new.” Read the whole article here. 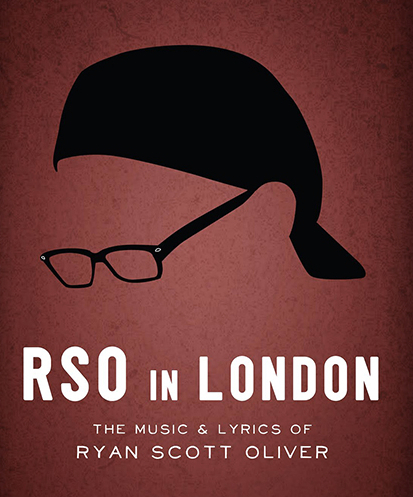 The RSO in London concert will take place at the St. James Studio on March 23rd, 2015 directed by Katie Pesskin with musical direction by Michael Riley. Casting is still to be announced. Buy tickets here. RSO bring’s his Actor Therapy master class (co-founded with Lindsay Mendez) to the Greenwich Theater on March 22, 2015. Buy tickets here. 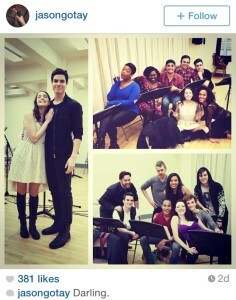 Go behind the scenes of the January 21st private reading of Darling starring Peter Pan Live!’s Jason Gotay! 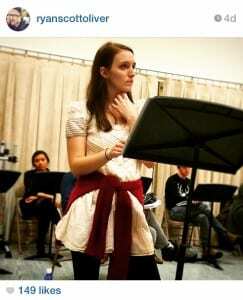 Darling was featured on the “Bound for Broadway” episode of NBC’s “The Apprentice” in 2010; in 2012, it was given a private workshop and developmental production as a collaboration between Retrop Production and RareWorks Theatre Company, in association with Sh-K-Boom Records, at Emerson College. 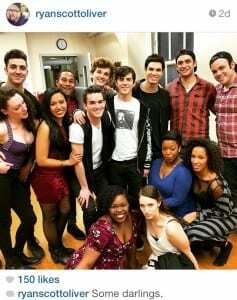 In 2013, Darling received The Weston Playhouse Theatre Company New Musical Award. Darling was conceived by Brett Ryback.